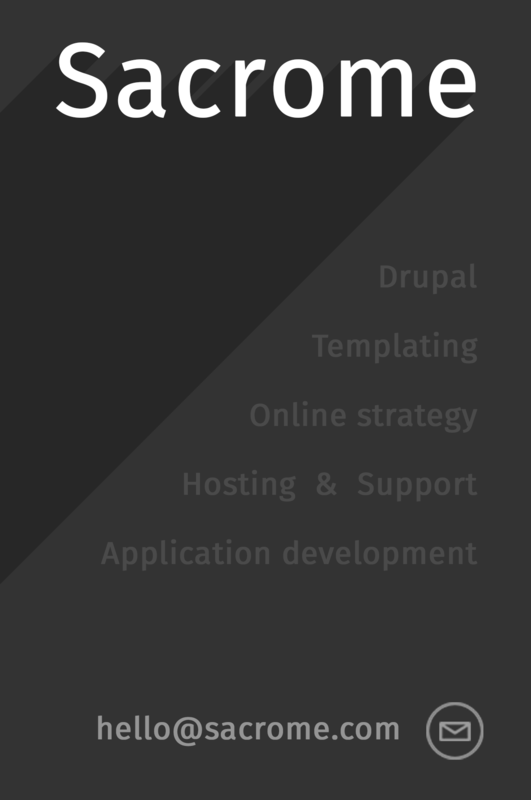 Sacrome is an independent web development agency, focussing on high-end open source solutions. We work on many interesting projects and combine years of experience with programming and online media expertise with a big interest in innovative design and new technologies. Sacrome works with Amazon Web Services (AWS) to bring your online applications to the cloud. Going to the cloud allows you to more effectively scale their services up and down when needed, while being fully in control of your hosting budget. Imagine being able to handle great increases of visitors on your website, without any hick-ups or downtime. This while also automatically scaling down - on an hour by hour basis - when your visitors are not active. For instance, at night time. You won't have to pay for what you do not need. At Sacrome we learn through teaching. We like to introduce developers to new ways of using technologies. We started a blog, to make our experiences available to as many developers possible.